The cute little bunny holds on to one edge of the blankie, but is ready to share it with your baby. 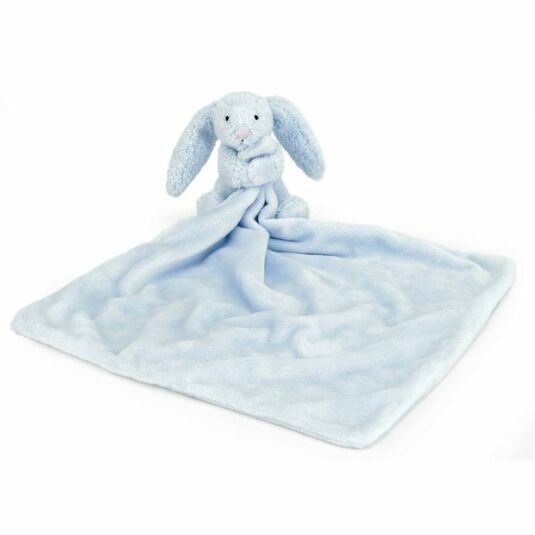 This Bashful Bunny Blankie is made from luxurious super-soft fabric and is ideal for providing comfort for your little one. Few people have ever seen a Jellycat product on the shelf and resisted picking it up – or at the very least letting out an “aww”!